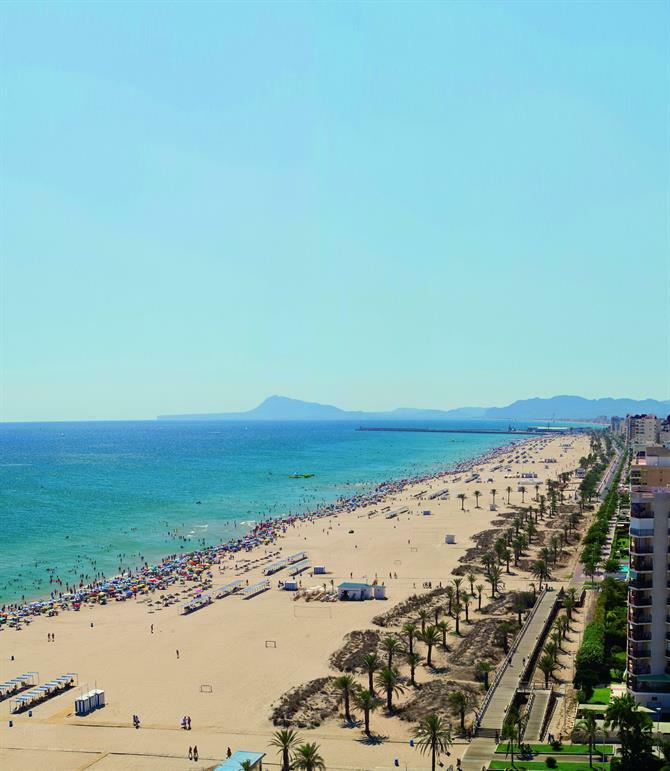 Gandia, which is located in the province of Valencia, has a coastline which is longer than 7 kilometres and 700,000m2 of beach. 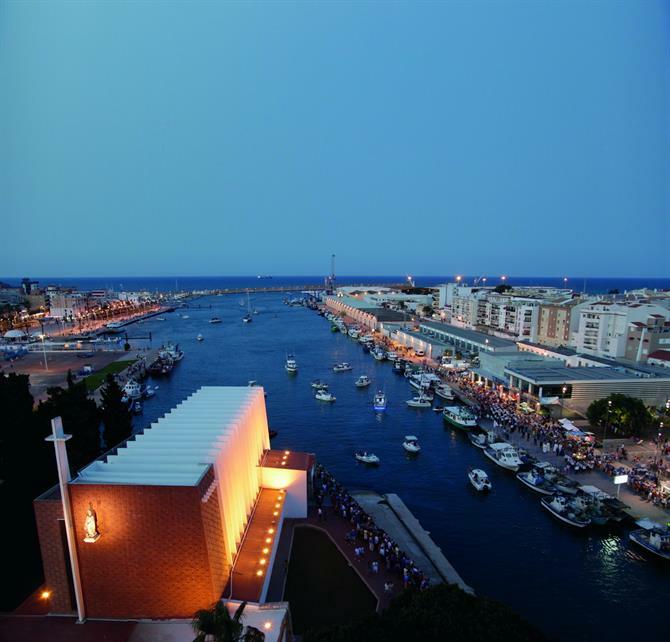 The little city is known for its excellent climate, wide beaches and delicious paella dishes, of which fideuà is the most typical for Gandia. It’s a summer destination loved by many, also by Spanish tourists. The beaches are of high quality which has been recognised by several certificates like the famous Blue Flag. Besides the big amount of space, you will also find many services and activities without any problem. 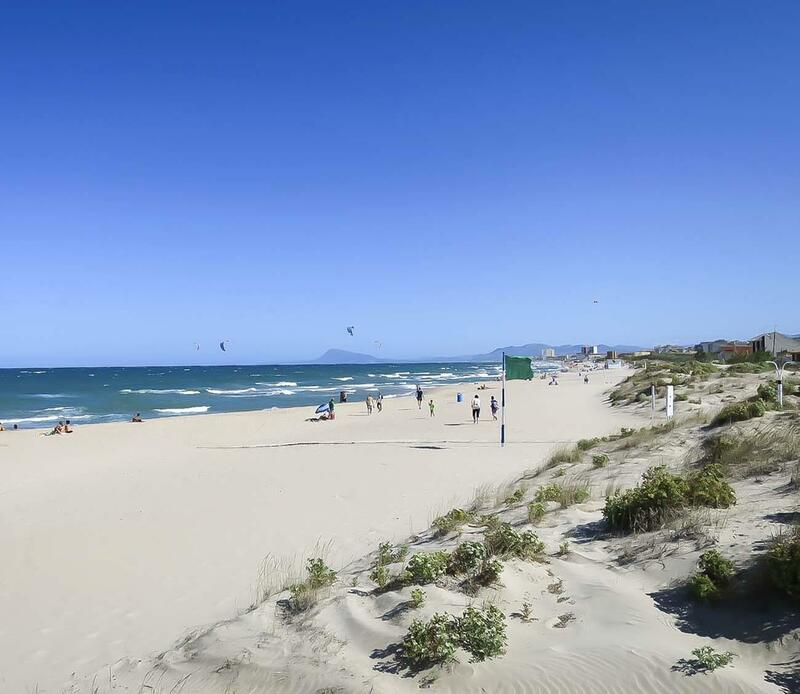 In Gandia you have the luxury to choose among 4 beaches, and other water activities that are perfect for enjoying the sunny weather. Below you will find information about the 4 beaches and our recommendations! 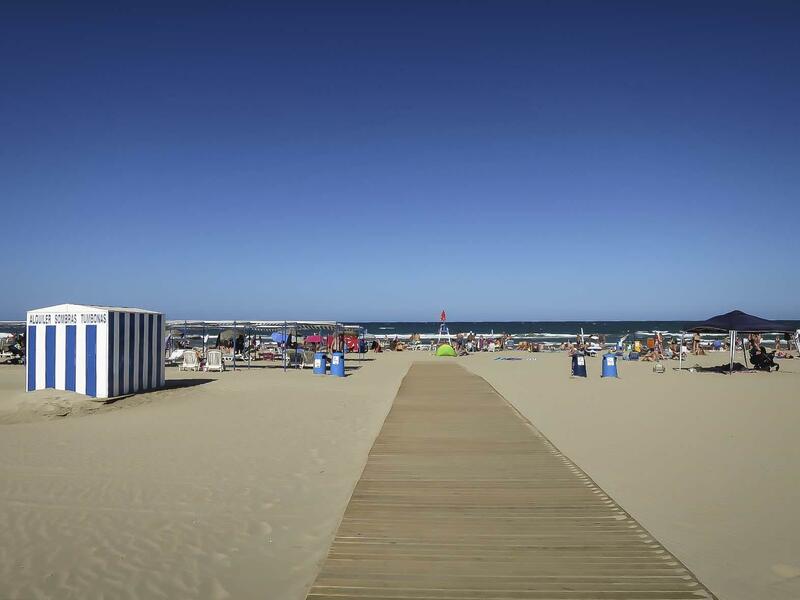 La Playa Norte is the most important beach of Gandia, since it probably has the most facilities and services. It is a lovely, big beach which is more than 3 kilometres long and 150 metres wide. Along the whole length of the beach you will also find a beautiful promenade. Most of the tourists stay close to this beach in hotels, holiday homes, and many Spaniards (mostly people from Madrid) have a second home around there. The golden sand is perfect for both sun bathing and being active. The quality of this clean beach and water have been rewarded with a Blue Flag. You can find areas for, for example, beach volleyball and lots of activities like aerobic during summer. This is also the perfect beach for doing activities and sports in the water. For kids you can find play grounds and animation programs, while for grown-ups there are nice chiringuitos (beach bars) to have a refreshing drink on a warm summer day. Besides all this, the beach is also perfectly accessible in a wheelchair. So basically, this beach is great for everybody! If you would like to have more detailed information about la Playa Norte, you can find it here. 2. Playa de l’Ahuir: a beach with nature and space, also for nudists, and even for your pets! 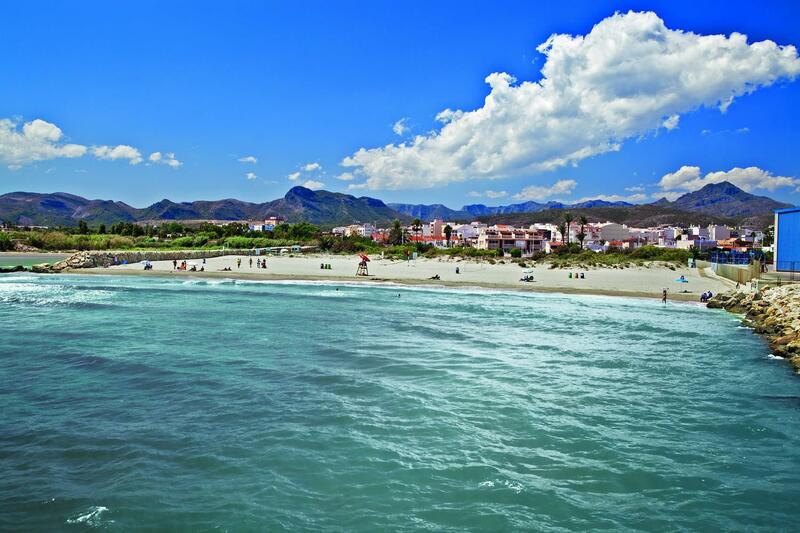 This beach is the most northern one of Gandia, it’s located between the urban part and the Vaca river. It is very spacious and its sand is in perfect condition. The beach is more than 3 kilometres long and alongside the whole length you will find beautiful dunes. At the beginning of the beach you can find a surf school, in this school you can also rent kayaks, catamarans and more equipment for water activities. On the northern side of La Playa de l’Ahuir you can find a separated part where nudists are allowed to stay. Since a couple of years there are also beach watchers on this part of the beach. Playa Can is a part of the Playa de l’Ahuir that has been adapted for your pets. This is the perfect place to enjoy the beach and the sea together with your dog! This sand beach is located on the southern side of the harbour and the Club Náutico of Gandia. It’s a quiet, little beach with a length of 330 metres and it is just 50 metres wide. Even though it is smaller, all the facilities for a nice beach day with the whole family are present. This is the place where the Serpis River flows into the sea and the beach is surrounded by dunes with green vegetation, which gives a pleasant feeling of being outdoors and relaxation. There is also a breakwater to defend the beach against the northern wind. This golden, sand beach is located on the southern side of the river mouth of the Serpis, and is also surrounded by dunes with Mediterranean vegetation. You can also find some old and more recently constructed fisherman houses, which make this beach more attractive and picturesque. In summer the beach is cleaned daily and there are beach watcher from 10:30AM till 7PM, and in August they even stay till 8PM. On the beach you can also find a Red Cross, first aid stand and restrooms. The flags that are placed on the beach represent the situation of the sea. A green flag means that it is perfectly safe to enter, a yellow flag means that you should be rather careful, and when you see a red flag you should not go into the water. Due to the wind and the sea, this beach is perfect for people who like kitesurfing! 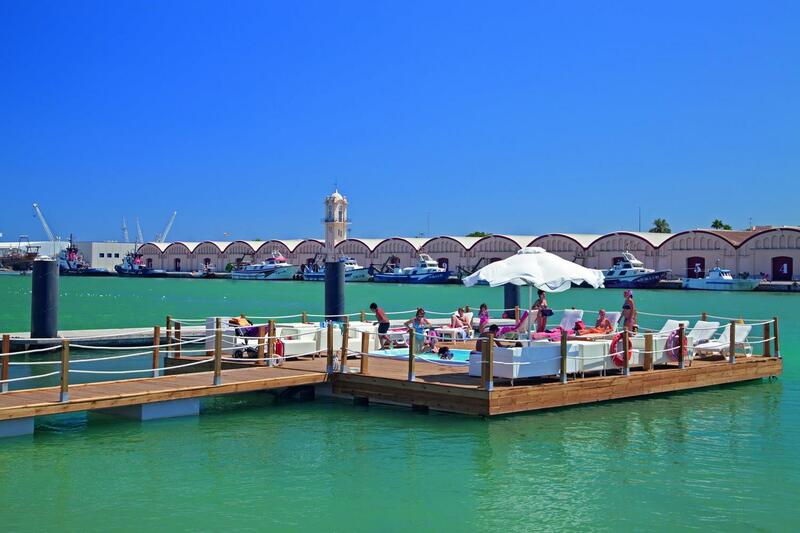 In the southern part of the Playa Norte you can find the harbour, for small boats and yachts, or the “real Club Náutico”. After the harbour of Valencia this is the most important one the autonomous community Valencia, and it has room for about 400 boats. On warm summer nights there is great atmosphere. Besides this, it is nice to go to the promenade which leads to the lighthouse or "faro", from where you have an amazing view over the coastline of Gandia and you can see the boats entering the harbour. Between 4:30PM and 5:30PM the fishermen enter. We also definitely recommend you to visit the “Grao de Gandia”, there you can find the authentic fisher- and beach neighbourhoods. “Playa Varadero”: it might not be a real beach, but you will have fun! Are you not a person who likes going to the beach every day? Then do not worry. The Valencian people like to be elegant and they love to enjoy the Mediterranean climate in style. Playa Varadero is called beach, but it is more like a big sun porch, and thanks to its location, facing the south, it can be used all year around. Both during the days and at night you can relax at this sun porch in the harbour. 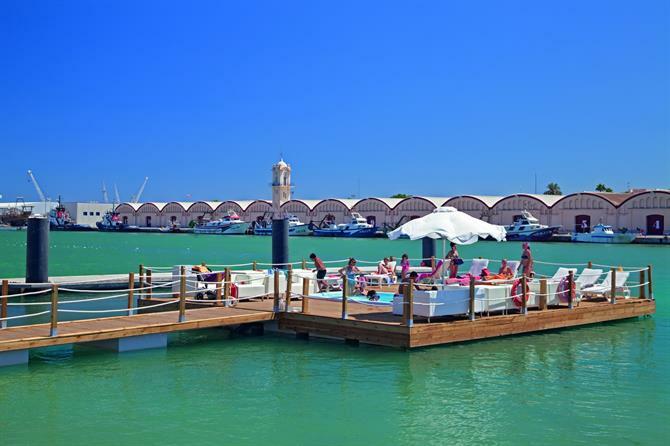 You can either take it easy in a sun bed, have a drink in the chiringuito (beach bar), or you can even take sailing classes! 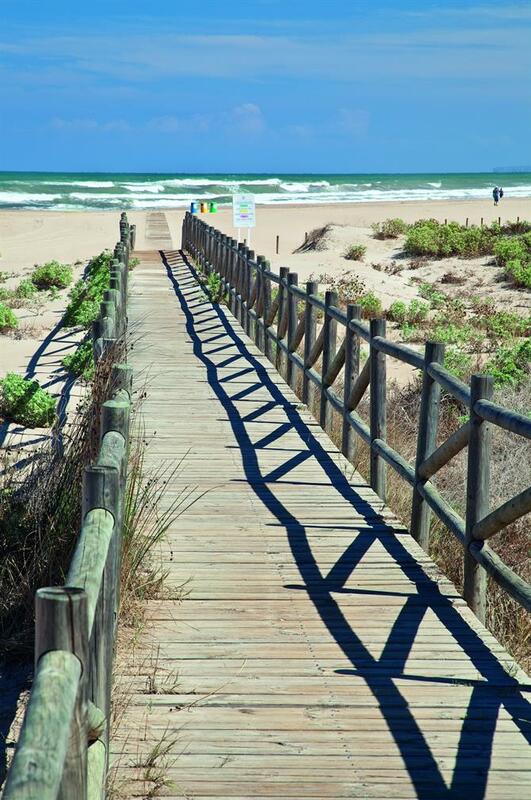 We hope that our recommendations have been useful and that you will enjoy your time in sunny Gandia! While you are there, you should also pay a visit to Jávea, with its 9 beautiful bays. Or go for a nice bike ride in beautiful Denia, which is also pretty close to Gandia. Let's go to la Playa Norte in Gandia! Beaches in Gandia are known for being well taken care of, and Playa Norte, the biggest beach, excels in services and quality. You won’t get bored! Tenerife is one of the most popular European destinations for a holiday in the sun. Whatever the season, follow this guide to Tenerife's best beaches.